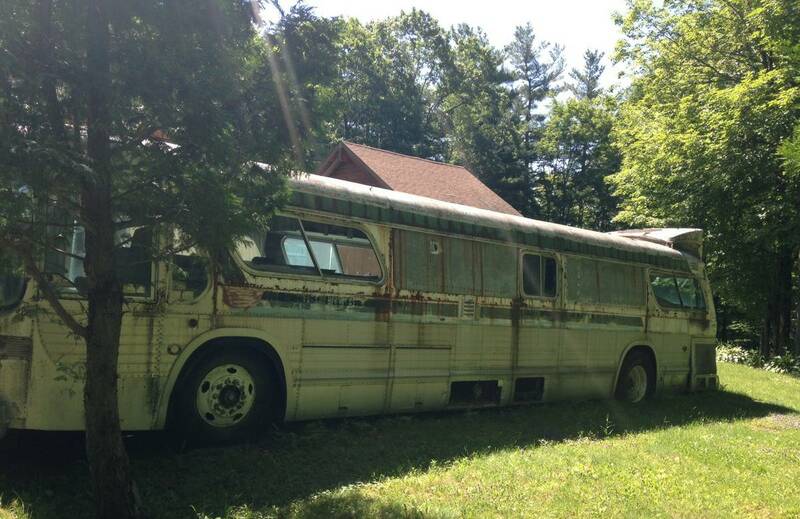 There may not be such a thing as a free lunch but right now on Craigslist there is a free bus looking for a new home as its owners are selling the house and they need the bus removed. This bus is a 1977 GMC “New Look” City Bus that has been “customized” though the owner doesn’t tell us what customizations have been done. Suffice to say that a bus such as this can be turned into a fantastic camper with loads of room even for a family. Friends of ours whose surname was Robinson did up a bus similar in size to this one for a round the country tour. The called the bus the “Robinson Cruiser” and the kids thought it was fantastic, instead of home-schooling they did bus-schooling. Sort of like Microsoft’s “Magic School Bus” except doing it for real. 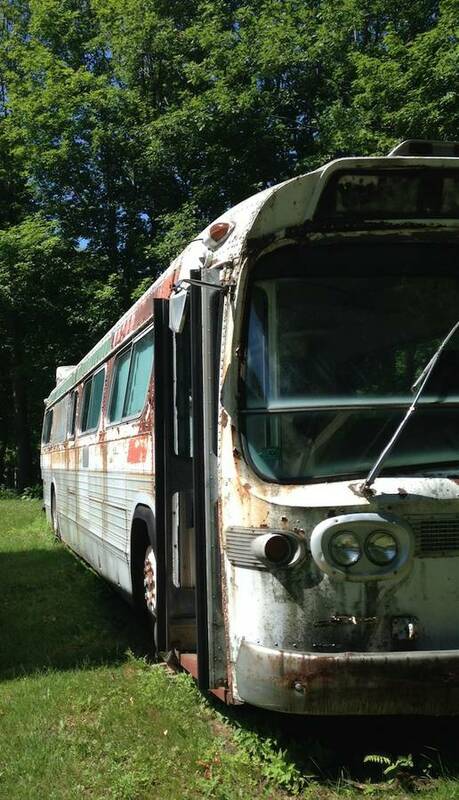 So this bus which “hasn’t been started in quite some time” is a potential rebuild project or a scrap for parts project. It could even be turned into guest accommodation at your house or out on the farm, or a play bus for your children or grandchildren. There’s a lot of potential but there’s a deal of work involved also. So the “free bus” will involve time and money, the first expenditure being transporting the bus to the place you want it to be. If you’ve got friends with the right equipment to move the bus then it could be cheap to do. For example, a shooting club I was associated with years ago needed to get the earthworks done for their new range. A club member worked for the local Caterpillar dealer and found out that a suitable place was needed to demonstrate a Caterpillar D10 to a mining company. Suffice to say that the shooting range was proposed for the demonstration and the Caterpillar dealer decided they’d do that. So the only cost to the club for its beautifully earth sculpted range was two cartons of beer for the dozer driver. 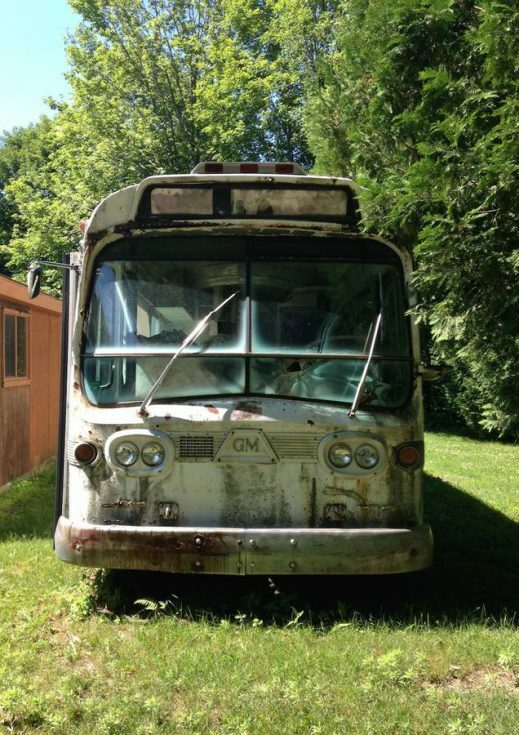 The GMC City Bus was made between 1959-1977 in the US (and until 1986 in Canada). So this free bus was made in the last year of production. It is located in Washington, Vermont, in an area off South Main Street. The GMC City Bus were made in four generations; the first generation from 1959-1962, the second generation from 1963-1967, the third generation from 1968-1971, and the fourth and final generation from 1972-1977. These buses does not have a ladder style steel chassis but instead have a stressed aluminum skin like an aircraft. The floor is wooden and assists in providing rigidity. The engine cradle hangs on the rear of this bodywork. So these buses are lighter than comparable buses with a steel chassis. Most of these buses were powered by a Detroit Diesel 71 series two-cycle diesel engine. Engine capacity varied from 7 liters to 9.3 liters. There were a few transmissions used through the various series of the buses but the 1977 model used an Allison V-730 three speed automatic with a lock up torque converter that would create a direct connection once the buses’ speed was sufficient. In the Canadian city of Edmonton, Alberta, some of these buses were converted into trolley buses and remained in service until 2009. These New Look buses share a similar construction to the Greyhound Scenicruiser buses that are so iconic in the United States and they were built to be easy to service and maintain. The engine and transmission are mounted in a cradle that is designed to be removable so that the bus could be quickly put back into service after a failure by swapping in a working unit. These are a bus that can respond well to some TLC and with some cleaning up and fixing up they can turn into something well worthwhile. Any large vehicle such as this is going to be an order of magnitude more challenging to restore than a car. But if you have the skill set to tackle this project then you could create a very nice mobile home for your road trip of a lifetime. This bus has a lot of potential. 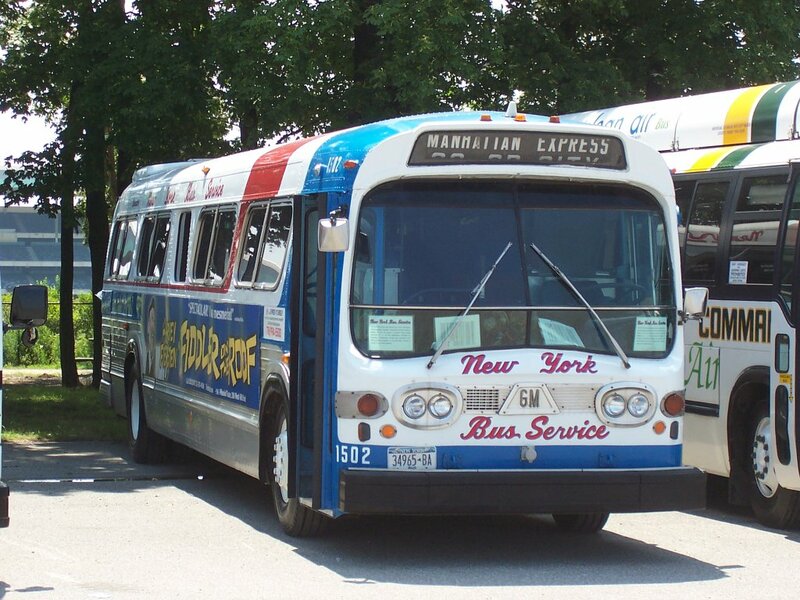 Below is a picture of a restored GMC New Look City Bus in New York to give an idea of how good these buses look when restored. 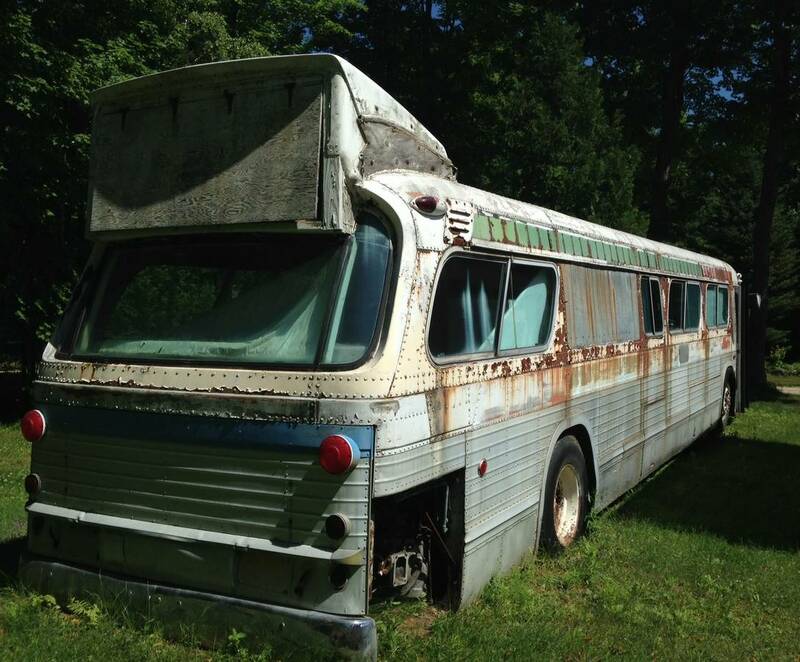 You will find the free bus on Craigslist if you click here. 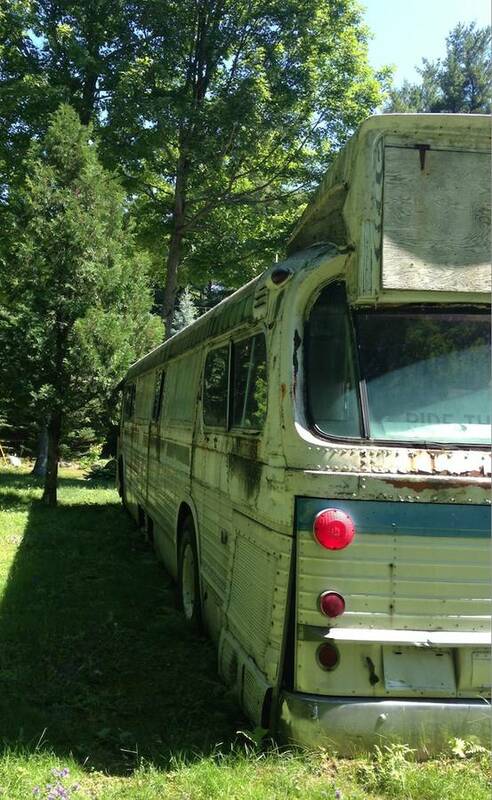 (All pictures of the free GMC City Bus courtesy Craigslist). An example of a restored GMC New Look City Bus. (Picture courtesy Wikipedia).